Anthony Mantha scored two goals, including the game-winner in overtime, as the Detroit Red Wings snapped the Vegas Golden Knights' six-game home winning streak with a 3-2 victory on Saturday night. Mantha's game-winner, his 19th of the season, came just 19 seconds into overtime after Dylan Larkin intercepted a Reilly Smith pass in front of the Vegas goal and then backhanded a pass to Mantha, who beat Malcolm Subban with a wrist shot from the slot on the glove side. Smith and Cody Eakin each scored goals for Vegas, which had a four-game win streak snapped and lost for just the second time in 12 games. 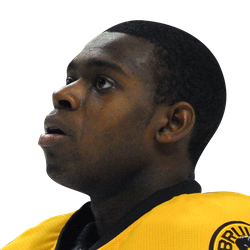 Subban, playing his fourth consecutive game in place of injured Marc-Andre Fleury (lower body injury), finished with 27 saves. Detroit jumped out to a 1-0 lead at the 3:06 mark of the first period on Glendening's 10th goal of the season. The score was set up when Taro Hirose intercepted a Shea Theodore pass and fired a shot that Subban made a pad save on. Athanasiou then passed the rebound across the crease to Glendening, who tapped it into the right side of the net. Vegas tied it late in the second period on Eakin's career-best 20th goal of the season, knocking in a rebound of a Nate Schmidt shot that Ryan Reaves redirected off Howard's pads. Smith, playing in his 500th career game, then gave the Golden Knights a 2-1 lead midway through the third period with a shorthanded goal, intercepting a Mantha pass at the blue line and then breaking away and beating Howard with a backhand on his glove side. 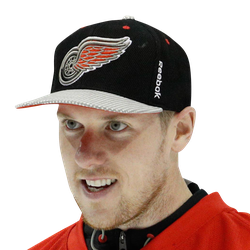 But Mantha made amends just 65 seconds later on the power play, one-timing a crossing pass from Athanasiou from the center of the right circle and setting the stage for his overtime game-winner.